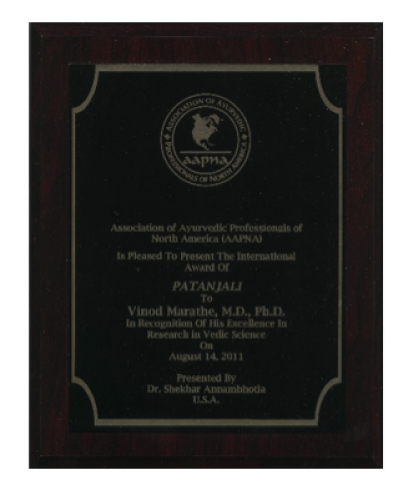 The world is seeking health solutions from Ayurveda, a perfect Natural Health science. We offer time tested knowledge, add scientific research, clinical trials to present product range that will make a positive difference to each. The philosophy of Ayurveda proprietary formulations is to reaching the ‘root’ of the discomfort, disease and malfunction. The action of specifically selected herbs in their most active form makes a pathological change, gives lasting relief and protect from associated diseases, side effects, future harm and complications. 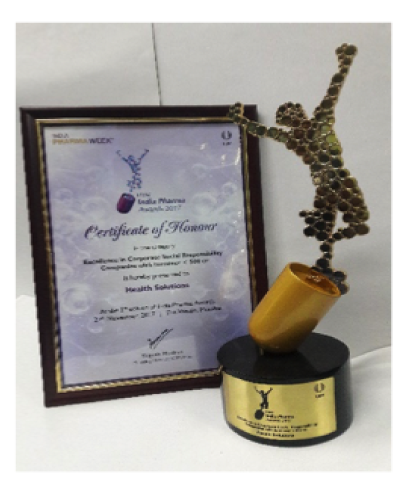 This has been the endeavour of SUPRA Health Solutions. Our strength lies in the Evidence based Clinical results of treatments offered. With modern lifestyle, stress and aging, the body begins to show signs of weakness. Each of us go through these phases of life. When due care is taken, complications can be avoided. The body functions with the proper availability of Nutrition to every organ, removal of toxins and waste material, revival of every cell, organ and function of the body, including the mental and emotional stability with proper blood circulation. 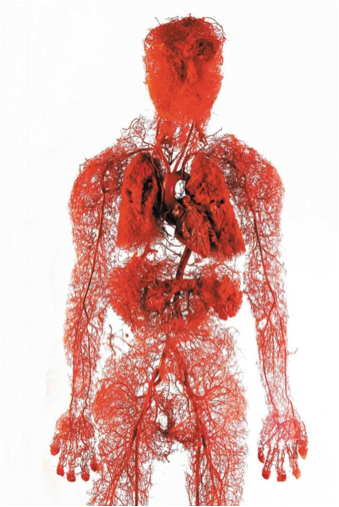 Our body has a complex network of blood vessels. 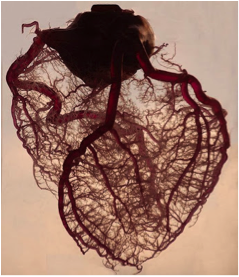 The heart is the Muscular organ that pumps blood to the whole body; but it is the blood vessels that carry nutrition to each cell and at the same time, carry bask waste by-products, toxins to the liver, kidney, lings and stomach for reprocessing. Most of us are unaware of how body toxicity will attack us and lack of adequate nutrition and toxin build up convert into the deadly complication. There is a lot of scientific evidence to show the importance maintaining a Healthy Blood Circulation. Damage to blood vessels leads to formation of blockages, wear tear of blood vessel walls and weakness of circulation system. This will lead to weakness, loss of energy, forgetfulness, patches on skin, complications in every kind of disease. 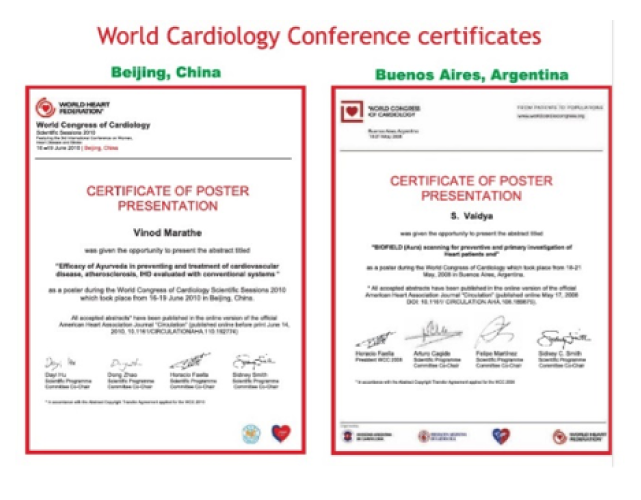 We are aware that blockages in Coronary circulation lead to Heart attack, hampered blood supply to brain can cause Stroke and clots and plaque formation in legs / arms causes swelling, pain, blisters due to deep vein thrombosis. We offer Award winning proprietary formulations in SUVED and Whole Colostrum in REIMMUGEN that have proved clinically to revive blood vessel status, increase heart muscle strength, improve micro circulation, retard and regress blockages in blood vessels. 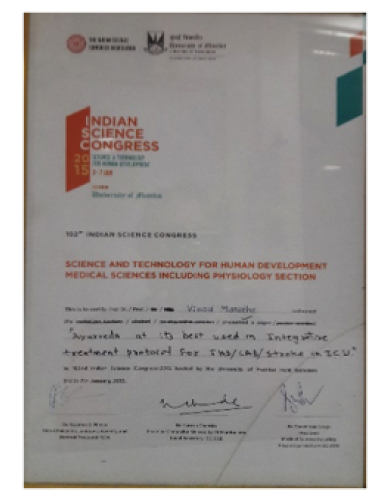 The treatment system has been awarded by Govt of India, AAI, India Pharma Association and over 5 thousand very happy and satisfied patients / customers. We all want to live healthy, beautiful fun filled lives. Always, we seek solutions which will help us financially and give us good results. The common queries which will help decide Suved Reimmugen is the perfect medicament. If you answer Yes to more than 2 of the queries below, then, Do not delay. Then your search ends here. Are you under stress? putting on weight? losing the shine on your skin? Are you getting breathless? heaviness in shoulders or back? Pain in chest? Sudden feeling of fainting? 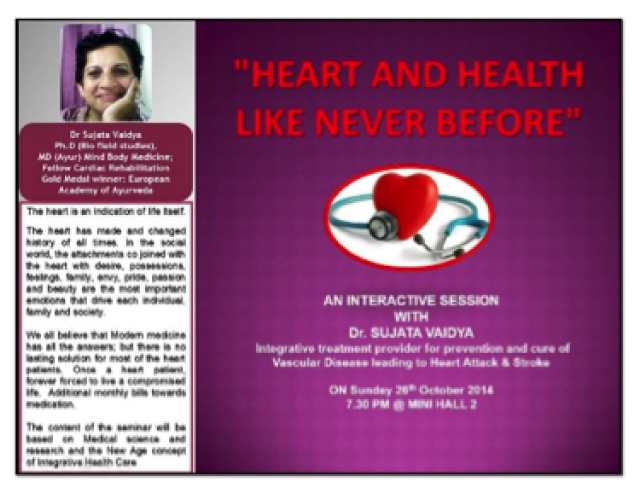 Are you taking medicines for Heart condition? BP? Diabetes? Arthritis? Still no remarkable relief? 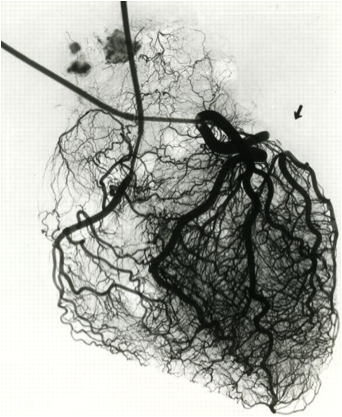 Have you gone through angioplasty or bye-pass? Has a new blockage appeared? Or again feeling weak, breathless and painful? Are you concerned about Good health for self and family? and want to remain fit and active after the age of 45? 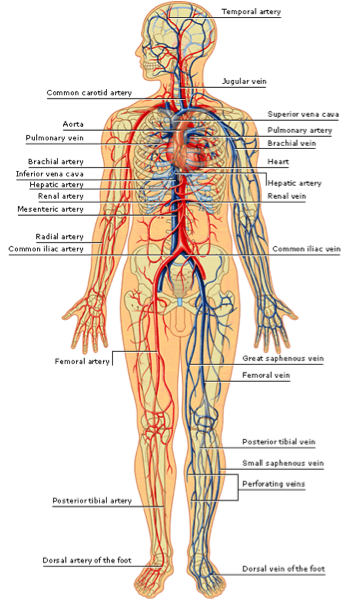 Do you see new or old signs of poor circulation? Capsule Suved is a judiciously processed combination in ‘Ghana’ extract form of Arjuna, Ashwagandha, Haritki, Musta, Ajmoda, Draksha Ghana,Pimpli, Dhamasa , Amla, Beheda, Pomegranate, Brahmi. 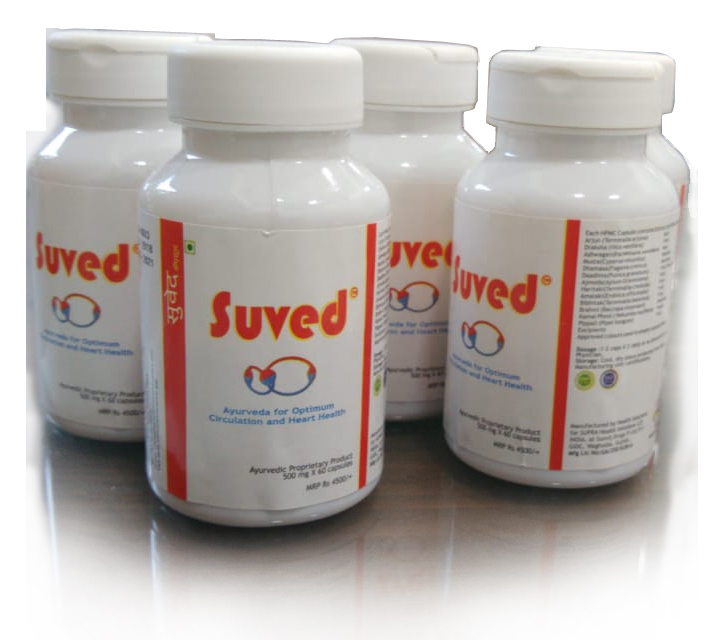 SUVED is multi herbal processed and potentised (Ghana) formulation with targeted action on reversing blockage formation, reducing Ischemia, thrombus dissolution; improved vascular status, improved lipid profile, reduction in Oxidative stressors. Suved ingredients are based on formulations taken from Ayurvedic pharmacopeia and instructions from Bhavprakash Grantha and made even stronger with addition of specific concentrated form of herbs to improve the results. Arjuna – Terminalia Arjuna - the well known herb that improved the strength, rejuvenation, stability and functioning of Cardiac muscles. It is one of the most powerful tonic for heart health. 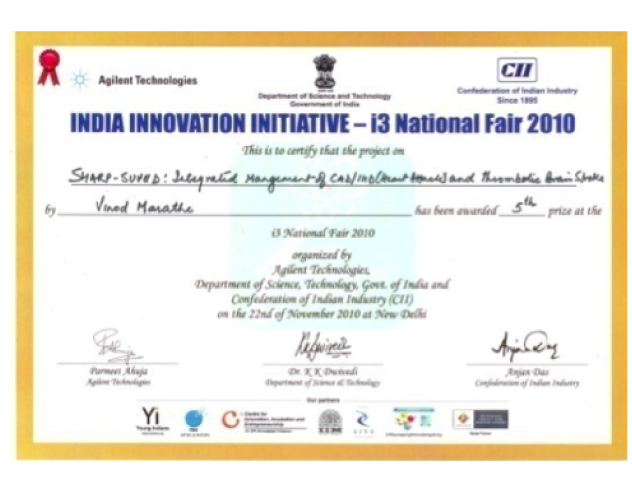 Ashwagandha - Withania somnifera, antistressor , is well known to be a targeted tress buster and acts to improve the micro functioning of the liver, which is the human factory of bio chemicals. Haritki – Terminalia chebula : Protects the body fluids and cellular activity from bacterial and fungal attacks. Draksha - Vitis vinifera, contains flavonoids which will protect the liver function, blood health and help in removing the body toxins. It is one of the most powerful group of herbal extracts to protect body from Oxidative stress. Amla, Emblica officinalis) The Wonder fruit which is possibly God’s gift to mankind. A powerful anti oxidant, has the best digestible combination of vital and micro nutrients, rejuvenator and reviver of vitality. Aamla participates in general good health at all stages of life. Kamal phool - Nymphaea stellata, the magic of neel kamal for anti-aging, rejuvenation, especially in Circulation. Dalimb - Punica granatum polyphenols from our favourit Dadimba have proved to revive blood vessel condition and even repair severely damaged blood vessel lining so as to improve micro circulation and so overall health. 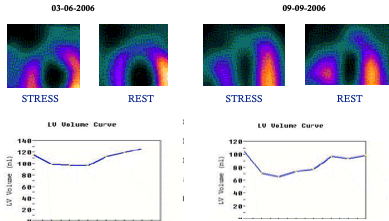 It participates in endothelial function recovery and angiogenesis. Brahmi- Bacopa Monnieri, memory enhancing, anti-inflammatory, and stress relief agent. All ingredients are well studied and research documented by modern medical and clinical research. Colostrum is pre milk secretion produced in the breast of mammals immediately after birth of child. Reimmugen Cow-colostrum is a total natural product, used as nutritional supplement containing immunoglobulin IgA, IgE, IgM, IgG, IgD, PRPs, Lactoferrin, Transferrin, Interferons, Cytokines, Growth Factors like bFGF, vFGF, IGF I & II & Angiogenesis growth Factor, Endothelial growth Factor, Nerve growth factor, PDGF, natural Vitamins and Minerals which help in developing collateral circulation apart from other effects. References are noted in Ayurvedic scripts as GOW-PIYUSH. Cow Colostrum has proved to be a powerful Immunity modulator. It enhances the body immunity to repair, rejuvenate, protect from viral attack, gut health, early recovery from diseases, build bones and blood. 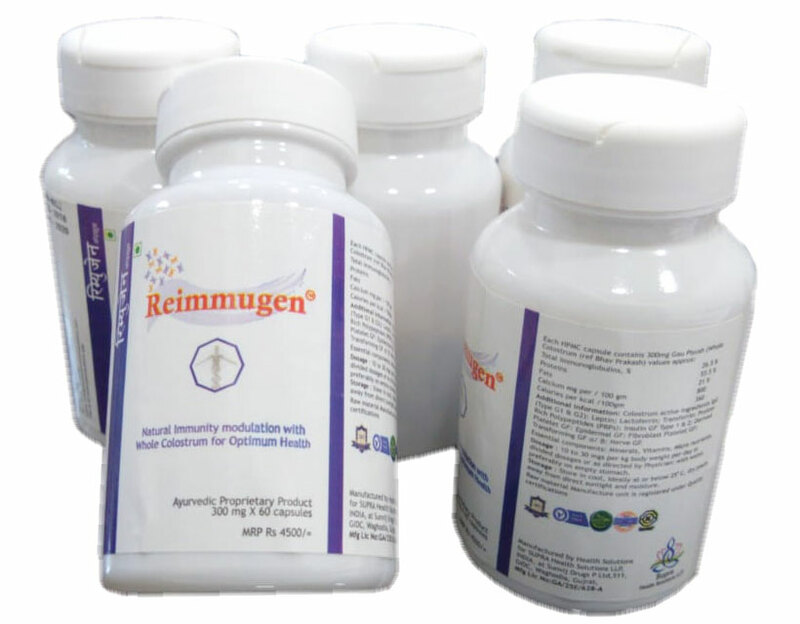 Reimmugen on its own is used as the most preferred tonic for muscle building; revival of digestive tract; blood purification, children health as protection from weakness, constant unknown fever, tummy upset and growth disorders. Fully Vegetarian, with HPMC capsules; No added metals, steroids. Improved Micro – Circulation means better nourishment to ALL ORGANS of the body and proper Detoxification at the same time. Symptoms of Diabetes, BP, Heart disease reduces within few weeks substantially. Skin, hair, eyes will glow with better health. 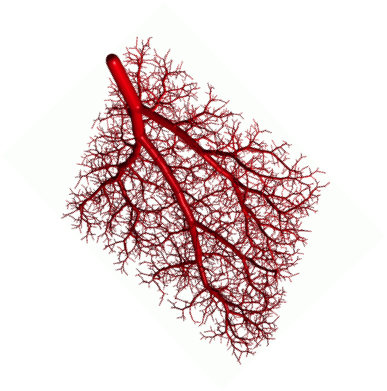 As treatment, Clinical Trials have shown regression in Blockages in blood vessels. Blockages lead to heart attack, stroke, DVT. User and Patient gets sustained relief within few months. No detrimental side effects: the painful side effects of conventional drugs are substantially reduced. Where necessary, Suved Reimmugen can be safely taken with ongoing drugs. 3 months treatment with 2 TDS Suved Reimmugen treatment. Patient Mr. Chine, age 40 years male, Diabetic-admitted on 25-07-2009 with MI. Discharged on 29-07-2009 with Antiplatelet + Cap Suved + Cap Reimmugen. Before Angiogram ,28-07-09 90 % LAD Block. After Angiogram , 22-08-09 : Block -possibly thrombus cleared totally. Stent not required. Patient could not walk 100 meters before: After only 3 months of Suved + Reimmugen treatment, patient is comfortable with 5 km walk daily. To be taken preferably on empty tummy with lots of water. 2 BD for 6 months.